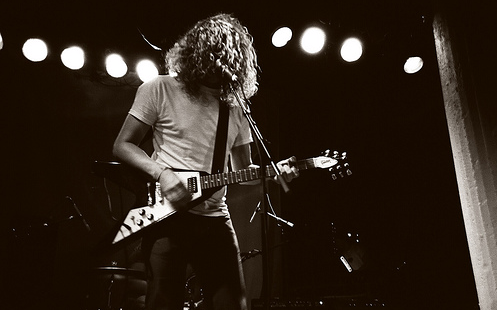 Jay Reatard – New Rhythm Section, New Euro & US Dates, Pixies Support, etc. Followers of Twitter and some of the more popular rock blogs probably read recently that bassist Stephen Pope and drummer Billy Hayes had left Jay Reatard’s touring band ; while said move required the cancellation of some dates on the West Coast, we’re happy to announce Jay will be back on the road shortly, hitting Europe next week and the U.S. in late November, with the newly ensconced rhythm section of Anders Thode (bass) and Jacob Elving (drums), both from Danish punk titans the Cola Freaks, along for the ride. You’ll note from the dates below that Jay is opening for The Pixies in Chicago, New York, Boston and Washington D.C. There’s also a New Year’s Eve date supporting Spoon in Miwaukee.